TIME FOR THE AGENT ROUND! AGENTS: PLEASE USE THE ARCHIVE ON THE RIGHT TO FIND ALL THE ENTRIES. THE LAST TWO AREN'T SHOWING ON THE MAIN PAGE. Our agents will soon be busy making their selections from the thirty-two entries! Please head over to Amy’s blog at Chasing The Crazies to find out how Team Sun is doing. And scroll down to find Team Snow! Remember again that contests are subjective. What tickles one person’s fancy, may do nothing for another. No matter what, keep querying! Before Team Snow covers Team Sun like a big, white, fluffy blanket, here are some guidelines! There is no commenting in this round, except for agents. Sorry, but no cheerleading as this may lead to an unconscious bias. 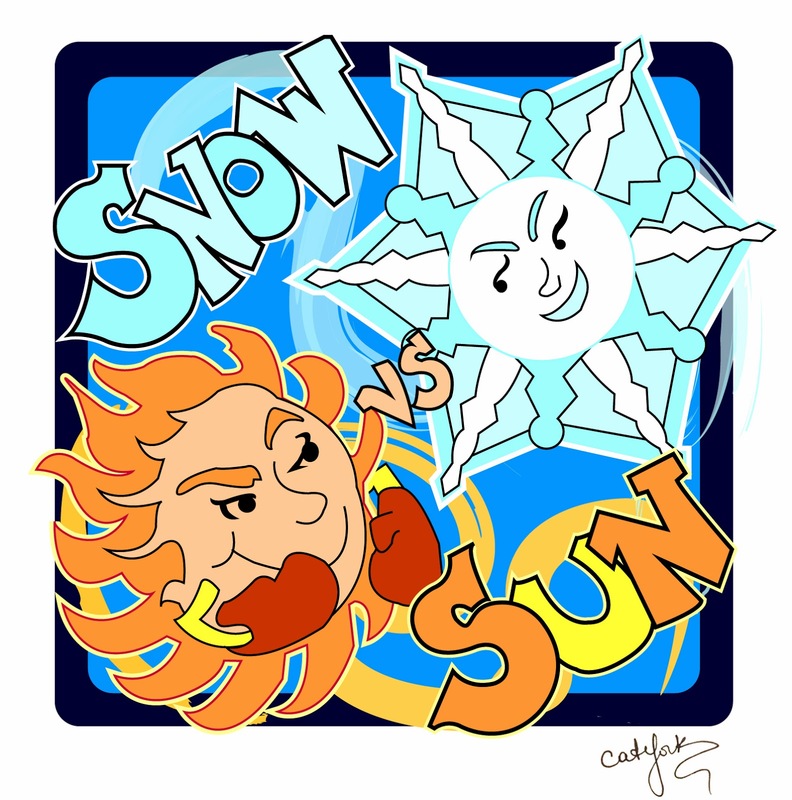 But we are happy to see and retweet your thoughts and cheers over on twitter under the #sunvssnow tag! That’s the place to hang out and have fun! I’d better be seeing my Team Snow members there. Get out your pompoms! This Frosty team is going to stick together and celebrate with each other! Ain’t no melting this blizzard of a celebration! Also Amy and I will be tweeting when an agent makes an appearance! For the fastest notice, keep an eye on twitter—or both eyes. Agents will consider entries at both the blogs, regardless of whether they are Sun or Snow fans. Only the phrasing of the agent’s request will let you know whether they’re on the side of SNOW (YAY!) or SUN (huh?). Amy and I are hoping the agents go crazy with the requests! There is amazing talent here on both teams! Good luck to all! Get your boots and hats and scarfs tightened! It's going to be an ice bucket experience of fun!